Övide is a contemporary Scandinavian interpretation of a traditional English dresser. With its’ minimalist glass fronted design it provides maximum transparency making it the perfect display cabinet. The opening detail can be finished inlaid with leather or in brushed stainless steel. Övide is produced in solid birch or oak. 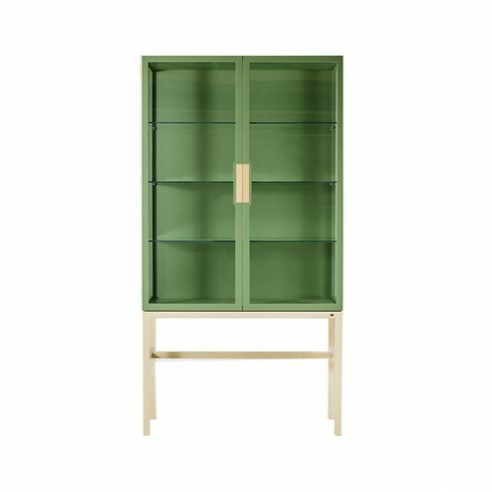 The cabinet is supported on a frame of natural timber can be painted from a wide range chosen from the Farrow & Ball colour palette. Each cabinet comes complete with three adjustable glass shelves and the doors are opened with a simple push mechanism. For saftey each Övide unit should be anchored to the wall with the fitting supplied.